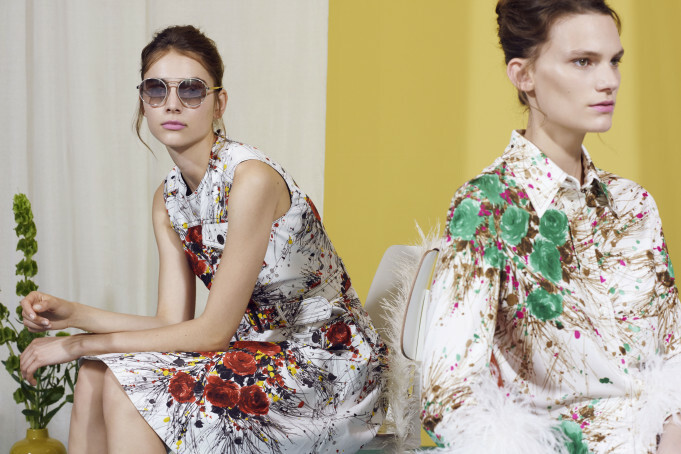 Munich-based retailer Mytheresa.com is continuing to foster its close partnership with Prada, with the launch of an exclusive capsule collection. The range builds on the success of the Italian house’s feather-trimmed pieces from spring, with a ready-to-wear and accessories range that focuses on delicate embellishments of all sorts. There are floral-printed midi dresses, jackets and tops often embellished with pastel-hued feathers, as well as a selection of Sixties-inspired, bright A-line dresses featuring sequined embroideries on the collar. 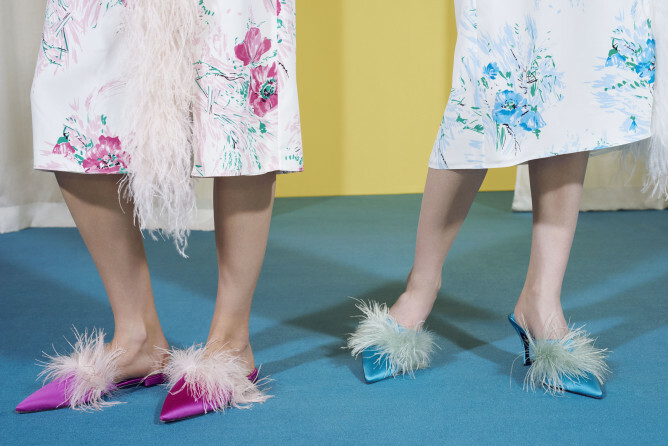 The capsule also includes a range of accessories, such as feather-trimmed mules in shades of black, gray and bright fuchsia, embroidered loafers, leather gloves and a cross-body bag with feathers scattered all over the strap. Prices range from 510 pounds for a pair of feather mules to 1,675 pounds for a sequined dress. The range, which will be sold globally on mytheresa.com, will be accompanied by campaign images created by the retailer to promote the collaboration. This entry was posted in Latest News, Shopping and tagged Capsule Collection, Fall 2017, My theresa, Prada. Bookmark the permalink.